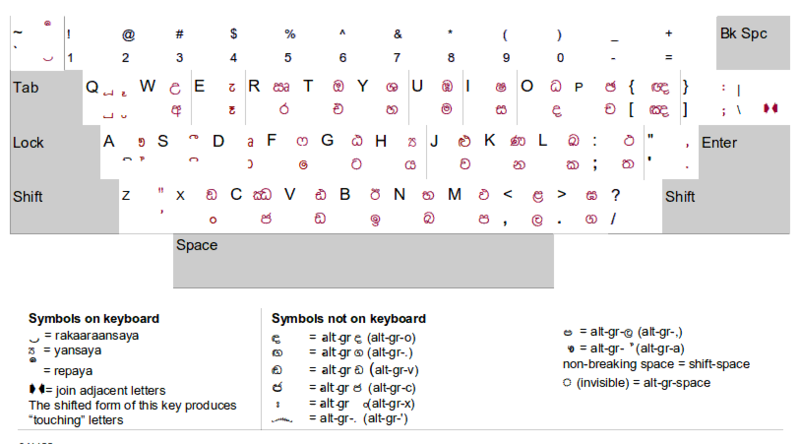 Sinhala inscript keyboard layout is used to type Sinhala in unicode. Wijesekara Keyboard (also known as Sinhala Keyboard) is the standard typewriter keyboard for Sinhala script. This keyboard was first created and approved by the government of Sri Lanka in 1964. Sinhala Keyboard layout in Sinhala script methode help to type Sinhala very fast. The Sinhala Keyboard layout is given below. The pdf file consists of printable layout with English keyboard indicators. Standard Wijesekara Keyboard Layout Keyboard is the standard keyboard for typing Sinhala. This keyboard layout is standardized by Government of Srilanka for type Sinhala texts. This keyboard is available in major Operating Systems including Windows (10, 8, 7, Vista, XP), Linux and Mac OS. This keyboard produces Unicode (UTF-8, UTF-16, UTF-32) Sinhala texts.